Learn about SlickText SMS Marketing solution for businesses. Includes info on SlickText, free trials, pricing, customer reviews, and FAQs. 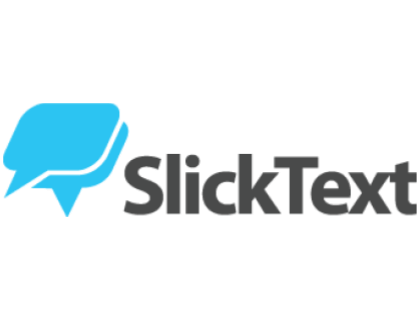 SlickText is a web-based SMS marketing solution created for companies of all sizes. SlickText makes it easy to build a business through text marketing. With SlickText, users are able to increase profit and strengthen brand awareness. Features include mass text messaging and automated replies. Pros: Clear, simple, and user-friendly. Great customer support and training material. Cons: Some features lack robust functions. No mobile app. Bottomline: Good tool! Offers a simple and easy to use option. However, some features are not robust. What is SlickText's price range? SlickText plans range from $29.00 to $139.00 per month. Is there a SlickText free trial? No, SlickText does not offer a free trial. However, interested users can use their Freebie plan with 50 free texts a month. What are some SlickText alternatives? Where can I find the SlickText login? Go to slicktext.com and click "Sign In" in the top right corner of the homepage, or sign in directly at https://www.slicktext.com/login.php. I have tried SlickText, it is the best SMS marketing platform.